CARFAX 1-Owner. JUST REPRICED FROM $18,999, $1,900 below NADA Retail! 3rd Row Seat, Sunroof, Heated Leather Seats, Satellite Radio AND MORE! Leather Seats, Third Row Seat, Sunroof, Power Liftgate, Rear Air, Heated Driver Seat, Back-Up Camera, Premium Sound System, Satellite Radio, iPod/MP3 Input, Bluetooth, Aluminum Wheels, Dual Zone A/C, Power Fourth Passenger Door, Heated Seats. Honda EX-L with Mocha Metallic exterior and Beige interior features a V6 Cylinder Engine with 248 HP at 5700 RPM*. Rear Spoiler, MP3 Player, Keyless Entry, Remote Trunk Release. 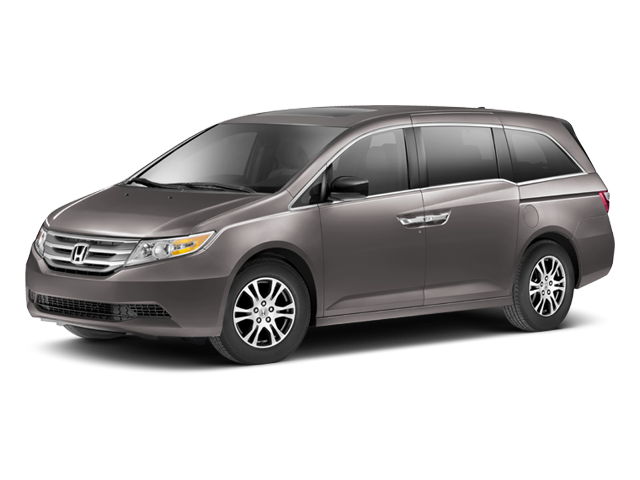 Edmunds.com's review says "The 2013 Honda Odyssey is a top pick for minivans thanks to its versatile interior, long list of features and engaging driving dynamics.". Reduced from $18,999. This Odyssey is priced $1,900 below NADA Retail. Hello, I would like more information about the 2013 Honda Odyssey, stock# A16113. Hello, I would like to see more pictures of the 2013 Honda Odyssey, stock# A16113. Ready to drive this 2013 Honda Odyssey? Let us know below when you are coming in, and we'll get it ready for you.